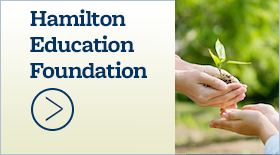 April 16, 2018 - Hamilton School District. The name of the new school voters approved in the Feb. 20 referendum will be Silver Spring Intermediate School. School Board members took action to officially name the school at its April 16 meeting. The mascot will be named at the May 1 Groundbreaking Ceremony that was rescheduled from April 16 due to weather conditions. Because of the district’s strong Moody’s rating, interest rates to finance the referendum projects were better than expected. School Board members authorized the sale of $57.4 million in building and improvement bonds to Bank of America Merrill Lynch at an interest rate of 3.1466 percent. School officials projected the rate would be 3.7 percent. The lower rate will allow the district to pay off the debt one year sooner and at a lower tax rate than projected, collectively saving taxpayers millions of dollars. The tax impact for the construction projects was expected to be 98 cents per $1,000 of property value; instead it will be 94 cents per $1,000. The difference is an annual savings of $12 for the owner of a $300,000 home. 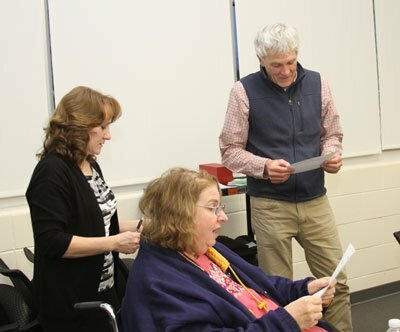 Hamilton School Board members took their first official look at the 2018-19 budget at their regular meeting. The budget totals $57.5 million, which is a 3.99 percent increase over the current budget. 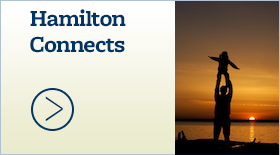 State aid to Hamilton is expected to increase 4.56 percent from $22.1 million to $23.1 million. The tax rate is expected to remain at $8.55. The budget assumes 70 additional students and property value increase of 3.25 percent, both of which are conservative. If either of these assumptions are actually higher, the tax rate will be lower than $8.55. 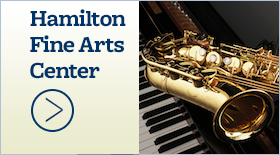 The Annual Meeting, when citizens are able to vote on the local levy is set for July 16 in the Hamilton Fine Arts Center. Serving at her last meeting as a School Board member, Deborah Briggs, who chose not to run for her Village of Butler seat on the board, reflected on the transformation she has witnessed in the district not only as a board member, but also as a Hamilton High School graduate. “I have seen this district grow over all these years and am completely amazed where we have come,” she said. “The only reason we open the doors in the morning is for students,” she said, and expressed optimism about the next generation. “I just can’t wait to see what the future brings,” she said. 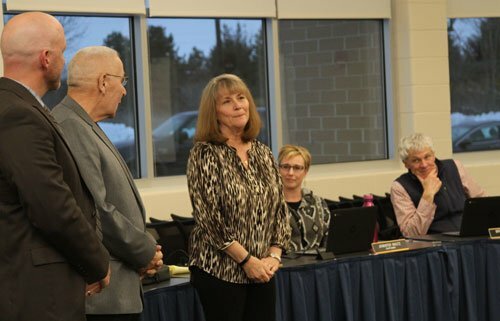 Two board members were sworn in for another three-year term following their successful election. Brian Schneider and Dawn Van Aacken were re-elected April 3. Schneider has the Menomonee Falls seat and Van Aacken holds the Lisbon seat. No one ran for the Butler seat following the retirement of School Board member Deborah Briggs. Butler resident Dawn Endries received the most write-in votes, and she has until April 23 to accept the position. If she does not, the School Board will begin the process of appointing a Butler resident to that position. As the district reaches toward its goal of having a 1:1 student-to-device ratio in grades 5-8 in the next three years, the School Board took a big step in making that happen. It approved $697,000 for the purchase of 75 laptops, 40 iPads, more than 1,100 Chromebooks and other infrastructure to support use of technology. In doing so, next year all high school students will be issued their own Chromebooks, a lower-cost alternative to desktop and laptop computers. The purchase is an increase in the district’s computer replacement cycle which typically replaces about 250-350 computers each year. For the past two years, the district has been able to purchase more devices by going with the less costly Chromebooks that meet student needs in the classroom and support the mandatory testing. Funding for the technology will come from the Information Technology Department budget, Applied Engineering and Technology referendum dollars, reimbursement through a state technology grant, an increase in student technology fees and refunds from E-rate, a federal program that makes information services more affordable for schools. technology fee for Chromebooks in grades K-8 $25, grades 9-12 $40. 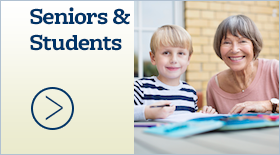 A total of 25 high school students requested admission to the Early College Credit Program (ECCP) that will allow them to take classes next semester at the University of Wisconsin-Waukesha and Milwaukee, Marquette University and Carroll University. In addition, six students’ requests to take Waukesha County Technical College courses through Start College Now were also approved. Both programs were formerly part of the Youth Options Program. Hamilton Principal Candis Mongan noted in a report to the School Board, as in the past, many students will not be able to take the courses because of scheduling conflicts or full classes. A total of 26 students requested admission to Youth Options last year. ECCP and Start College Now are programs mandated by the state that allows students who have completed tenth grade, are in good academic standing and have no disciplinary problems to attend a technical college or university if they have exhausted their high school curriculum. Hamilton High School sophomore Dayne Lassiter will be allowed to graduate in June 2019 after meeting the requirements of the district’s early graduation policy. School Board members approved the adoption of $48,363 of fitness education, communication arts, mathematics, applied engineering and technology, and reading resources. Nearly $30,000 will fund literacy benchmark assessment system kits. The School Board approved a preliminary staff plan for the 2018-19 school year that will increase teaching positions across the district by 2.63 full-time equivalency (FTE) positions. The total reflects enrollment shifts that result in a reduction of one FTE at the elementary level, an increase of 3.3 FTEs at the middle school and increase of .33 FTE at the high school. appointed Veronica Seher as Marcy special services paraprofessional for the medically fragile, effective April 9; Kimberly Mechenich as Maple Avenue math support teacher, effective Aug. 27; Kristin Kyde as Templeton grade 8 teacher, effective Aug. 27; Devon Hauser as Marcy physical education teacher, effective Aug. 27; Kara Duehring as Maple Avenue physical education teacher, effective Aug. 27; Hope Onysio as Templeton grade 8 teacher, effective Aug. 27; and Adaliz Silva as Lannon associate kitchen employee, effective April 18.